This is a weekly post by Nidhal Guessoum (see his earlier posts here). 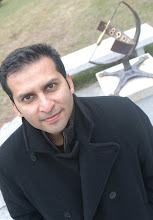 Nidhal is an astrophysicist and Professor of Physics atAmerican University of Sharjah. In a recent post, I decried the exaggerated usage of God metaphors by scientists or writers each time some (presumed) breakthrough or important result or idea is communicated to the public. And I specifically mentioned the recent references to “God’s toe” and to “the face of God”. 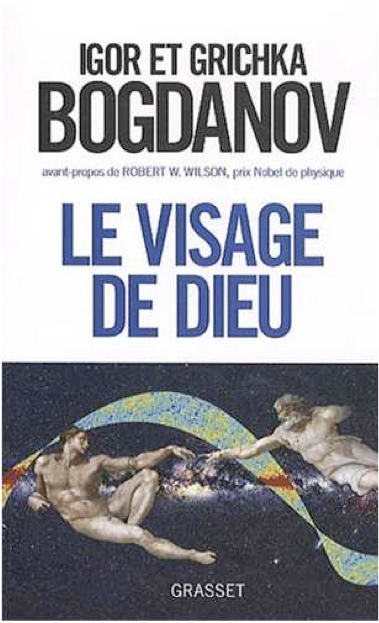 Now, when I got a moment to take a look at the French scene (of Science, Religion, and Media), I was stunned to find a book, fresh out of the presses, titled… you guessed it… “The Face of God” (Le Visage de Dieu). I haven’t read the book, and I don’t intend to, so this is not a review; it is a commentary on side issues raised by this book, its authors, its title, etc. The first thing that should be mentioned is that the book has been given unprecedented exposure in the French media, especially considering its overt spiritual tone. Indeed, the Bogdanov twins (more on them in a minute) state clearly that they believe that the Creator conclusion is inescapable from the results of modern Cosmology. They themselves are not particularly religious, in the sense that they do not relate to any specific affiliation, but they insist on the divine inference. What “cosmological results” are they basing themselves on to make that “divine inference”? Simply put: the anthropic principle, or more precisely, the fine tuning of the universe. (For those who are not very familiar with this concept, it is – in a nutshell – the fact that many/most of the fundamental properties of the universe, from the charge of the electron to the speed of light, and the total content and rate of expansion of the universe have values that could not have been even slightly different if life, intelligence, and consciousness, like humans and other such creatures, were to exist. Needless to say, many have concluded that a Creator must be behind such “fine tuning”, and this whole “anthropic principle” has for the past few decades become a very controversial topic. More on this some other time, if you wish…) In a recent TV interview, the Bogdanovs referred to this fine tuning of the universe as the “cosmic code” and said that it must have been written by a Creator. The second thing that must be noted is the fact that three (not just one) illustrious scientists have endorsed the book by writing a preface and two post-faces. This, in itself, is notable, but not overly surprising, as oftentimes authors seek the support of heavyweights in the field to give credence to their work and help increase its sales. But in this case the feat is simply extraordinary. Why? Because of the huge asymmetry between the authors (who are very lightweight and even controversial) and the three endorsers (who are very heavy weights)! The latter are: Robert Wilson, who (with Arno Penzias) discovered the microwave cosmological background in the 60’s and received the Nobel Prize in 1978; John Mather, who (with George Smoot) in 2006 received the Nobel Prize for the variations they found in the microwave cosmological background, which Smoot likened to "seeing the face of God"; Jim Peebles, a renowned cosmologist who has received half a dozen medals, awards, and honors (though not the Nobel Prize). Needless to say, any author would dream of having such people preface his/her book or even write a short blurb. Now, don’t the Bogdanovs deserve that? How do I know that their book is not superb enough to receive such accolades (since I haven’t read it)? Can somebody help me understand some of these phenomena? "Can somebody help me understand some of these phenomena?" Umm, I don't think I can do that. "...views that the “intelligentsia” doesn’t quite like (e.g. the “divine inference”) ..."
This is an interesting observation for me. Why do you think the "intelligentsia" does not quite like the divine inference? emre, I understand that your comment is made mostly for fun, but would an MBA help an author sell more books and be more visible to the media? Ali, the divine inference from fine-tuning is one (obvious) possible interpretation, but it's not a definite, logical, automatic deduction. Like the previous design arguments, this one is far from being fool-proof. One day we'll discuss various "proofs of God's existence", and we'll gauge their strengths and weaknesses. How on Earth you can ever prove a certain fossil in question, that it was ever alive and walking animal? You base your argument on logical conclusions. You set up a criteria. But you can never ever prove physically that a fossil was ever alive. "Ali, the divine inference from fine-tuning is one (obvious) possible interpretation, but it's not a definite, logical, automatic deduction." Why is it an ILLOGICAL deduction? I can understand why you may be saying it is not definite or it is not an automatic deduction. But why it is illogical is beyond my comprehension. "One day we'll discuss various "proofs of God's existence", and we'll gauge their strengths and weaknesses." I, for one, would love to see such a post. Ali, when I say "it is not a definite, logical" deduction, I do not mean "it is an illogical" deduction. I just mean it is not a conclusion that can be drawn step by step from the premise using the rules of logic. I should have only said "it is not an automatic deduction". We are not in disagreement. We'll discuss the arguments for God's existence sometime. at a moment they just said that if there is a creation that mean there is a creator, and it is so perfect that it can not be just a hazard. I'm french, i don't believe in god, i didn't meet him yet! I read that book...And the book isn't about God..
We just dunno why the universe is so perfect !! The book is just that good, what can I say. From the scientific point of view, it stays loyal to the physics and everything as we now understand it, within its usual debates. The rest is just philosophical and metaphysical discussion and interpretation on meaning and direction in the Universe and Everything. They take a step, after reaching the limits of what science can explain, and try to fit it all in a spiritual vision of creation. Faith is a very popular topic of discussion in many cultures including the French, and this book expresses itself and its opinion very elegantly, while on the subject of scientific creation itself I might add, and delivering it all in a language any man can understand (assuming he's french). They claim that at the limits of where science can study, observe and verify, metaphysics can take over, continue the story, and they do it masterfully. What they interpret as divine inference any scientist can take as just another law/equation yet to be explain. Yes anonymous, one of the points of the book is exactly that, how good data can receive a biased reception just because someone just got overwhelmed and blurted out: "OMG!" In this case, how a very informative and entertaining book can be judge by the name "God" stamped on its cover.